I have repeatedly mentioned how life was when I was growing up (mostly stories about vegetables that were cooked to be as limp as possible), but things are not changing just for me. With each generation, people’s relationship with food is changing. As the shopper gets younger, they are more likely to frequent more food retailers than their older counterparts. They likewise eat out more and go to a wider variety of restaurants. Are more likely to embrace meatless eating. Have split the cooking duties more evenly between spouses than other generations. 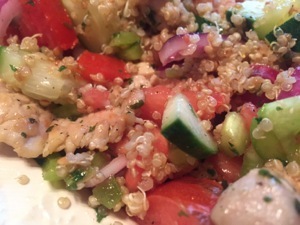 While not meatless, the quinoa is certainly food that has been embraced by younger cooks. 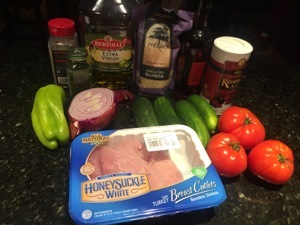 A nice mix of ingredients. All together it is a delicious dish. Heat 1/2 tablespoon olive oil in a large skillet over medium-high heat. Add the quinoa and cook, stirring, until lightly toasted, about 4 minutes. Add 4 cups water and 1/4 teaspoon salt and bring to a boil. 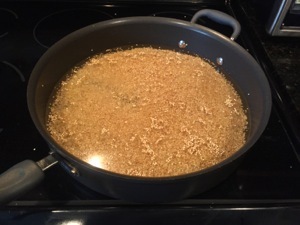 Reduce the heat to medium and simmer until the water is absorbed and the quinoa is tender, about 15 minutes. Toss the turkey with half of the herbs, 1/4 teaspoon salt, and pepper to taste; set aside. Soak the onion slices in cold water, 10 minutes. 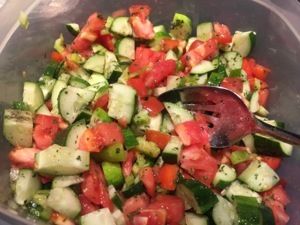 Toss the tomatoes, chile, cucumbers, vinegar, 1 1/2 tablespoons olive oil, the remaining herbs, 1/4 teaspoon salt, and pepper to taste in a large bowl. Drain the onion, add to the tomato mixture and toss. 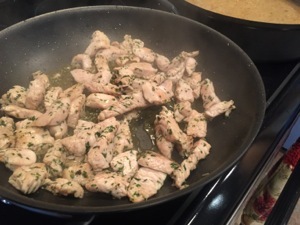 Heat the remaining 1 tablespoon olive oil in a large nonstick skillet over medium-high heat. Working in batches, add the turkey and cook until golden, about 3 minutes per side. Drain on paper towels, then cut into 2-inch pieces. 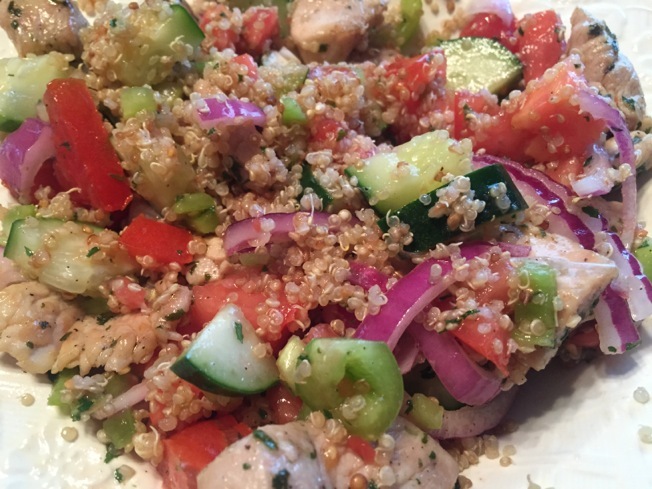 Fluff the quinoa with a fork and divide among bowls. Top with the tomato mixture and turkey.